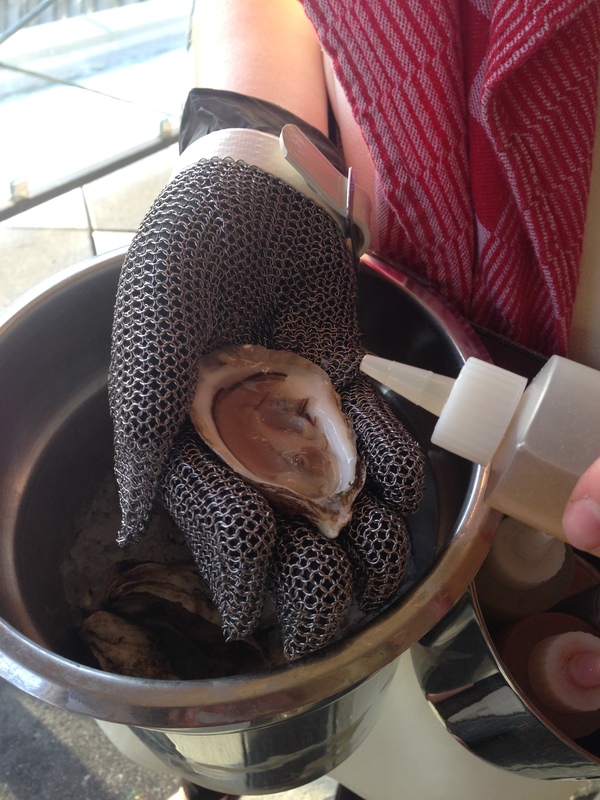 Cécile's Culinary Adventures – Page 2 – Exposed to a variety of cuisines at a young age, I developed a passion for food. 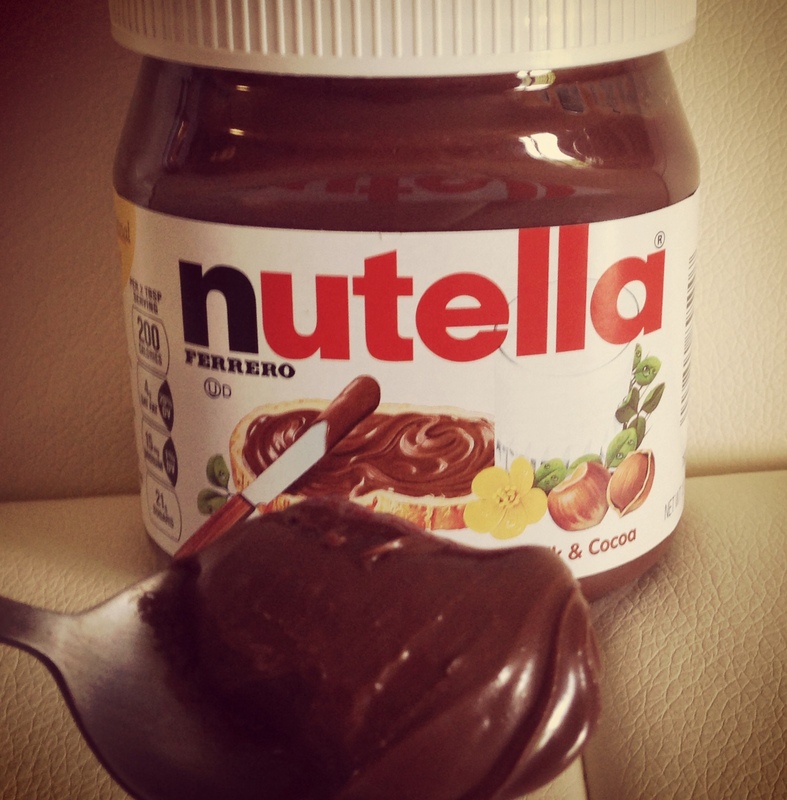 Today marks the 50th birthday of Nutella, the hazlenut chocolate spread that is currently sold in over 75 countries. And the genius behind it was Pietro Ferrero. In the 1940s, Ferrero, originally from Alba, Italy (Piedmont region), owned a small coffee and pastry shop which he later transformed into a confectionery factory. This area in Italy is known for hazelnuts and during World War II, cocoa was rationed, so Ferrero used hazelnuts as a substitute to create the famous spread that was not always named Nutella® nor in spread-like form. Originally created in solid block form that was wrapped in foil, Ferrero named his sweet concoction pasta gianduja. The idea was that parents would buy it, pair it with bread, and make a sandwich out of it. As one can imagine, children preferred just eating the pasta gianduja by itself (as I probably would have done). So, Ferrero came up with a spreadable form called supercrema gianduja and then in the 1960s, the name was officially changed to Nutella which comes from the English word ‘nut’ and the Latin suffix for sweet ‘ella’. In honor of the most famous spread in the world turning half a century, I decided to pay homage to it by consuming it three ways this past week. First, and probably my most favorite way of ingesting it, in its purest form, spoonfuls, yes, spoonfuls of Nutella. 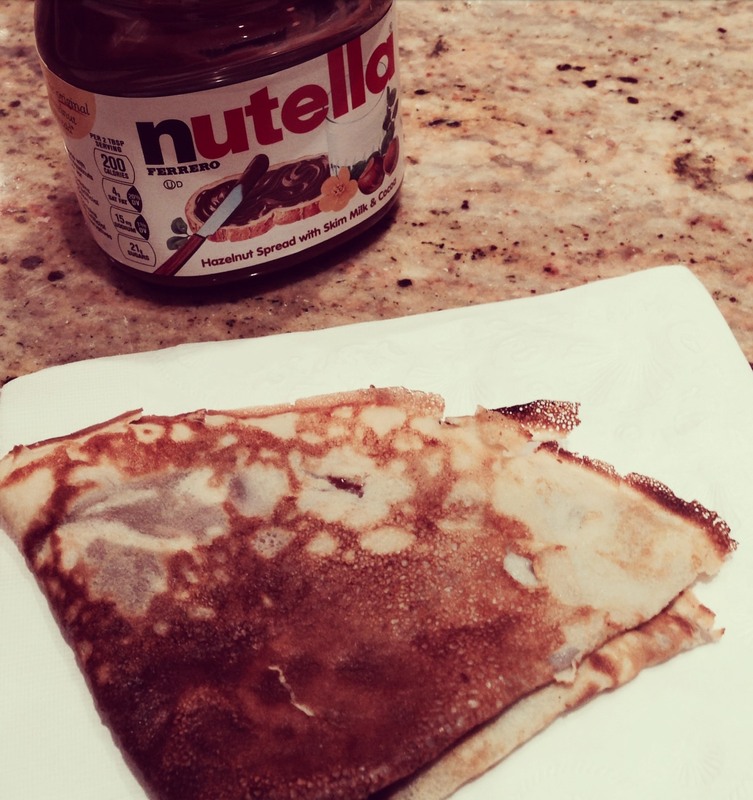 Second, making crêpes filled with Nutella. 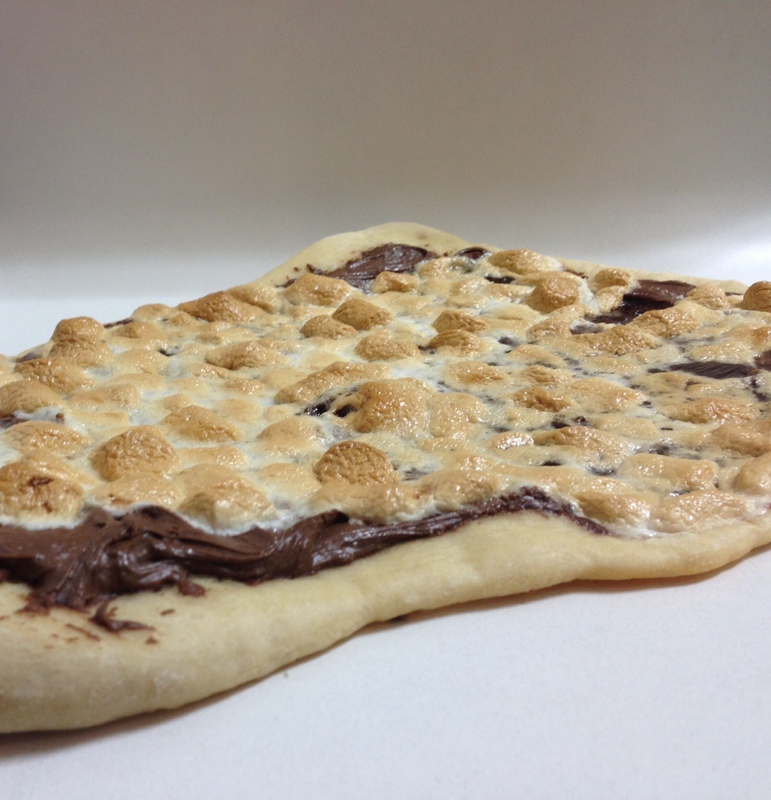 Third, baking a Nutella pizza (topped with marshmallows) with good friend and fellow blogger Laetitia from French Twist DC. I think next on my list, in terms of Nutella creations, will be Nutella macarons, Mango and Nutella spring rolls and a Nutella Charlotte, all fun recipes from Nutella: The 30 best recipes by Larousse . Happy Birthday! or as they would say in Italy Buon Compleanno! to the sinfully good spread that makes everyone happy! 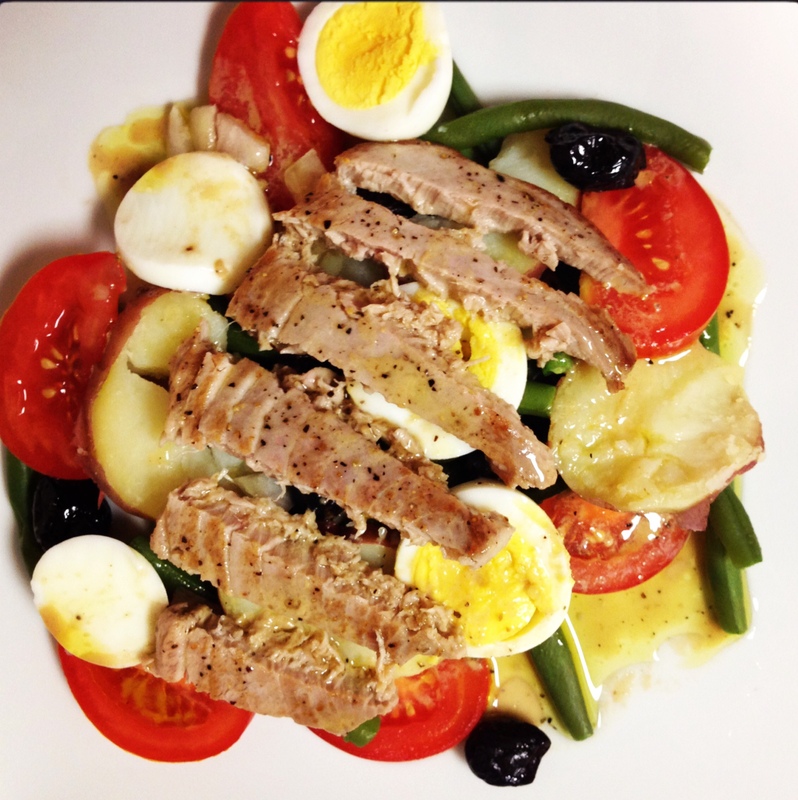 Salade Niçoise – A savory and sumptuous summer salad! 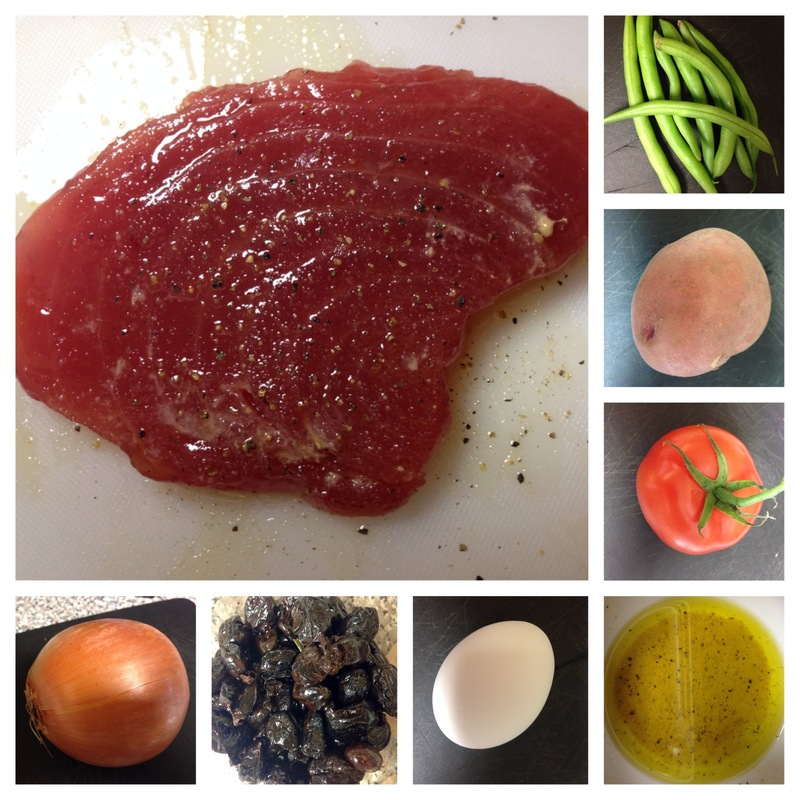 This past weekend, I decided to make a Salade Niçoise (a popular culinary specialty of Nice, France) with tuna steak. I’ve always equated this simple yet hearty and delicious salad with warmer temps and fond memories. As a young girl, my lovely French mother used to make it for Sunday family dinners and as I grew older, it became a meal shared among friends during my summers in the South of France. So, when it hit 80 + degrees yesterday, I headed to Whole Foods Market and picked up the below ingredients and started cooking. Boil the green beans for 10-15 minutes in lightly salted water (10 minutes if you want them to be more al dente). Boil the potato for 15 – 20 minutes or until you can poke it through easily with a fork. Boil the egg for 10 minutes and then transfer the hard boiled egg in a bowl of cold water for 5 minutes. Then slice finely. Cut up the onion into small fine slices. Cut up the tomato into thin slices and lightly salt to make the juices come out. Rub the tuna steak with olive oil on both sides, then rub a little vinaigrette on each side and season with a little salt and pepper. In a hot pan cook for 1 minute on each side. A little less if you want it seared. Cut horizontally into 5 thin-medium slices. In a bowl, whisk the below ingredients together. Assemble the green beans and then top with the sliced potato, tomato, egg and onion. Sprinkle the black olives. 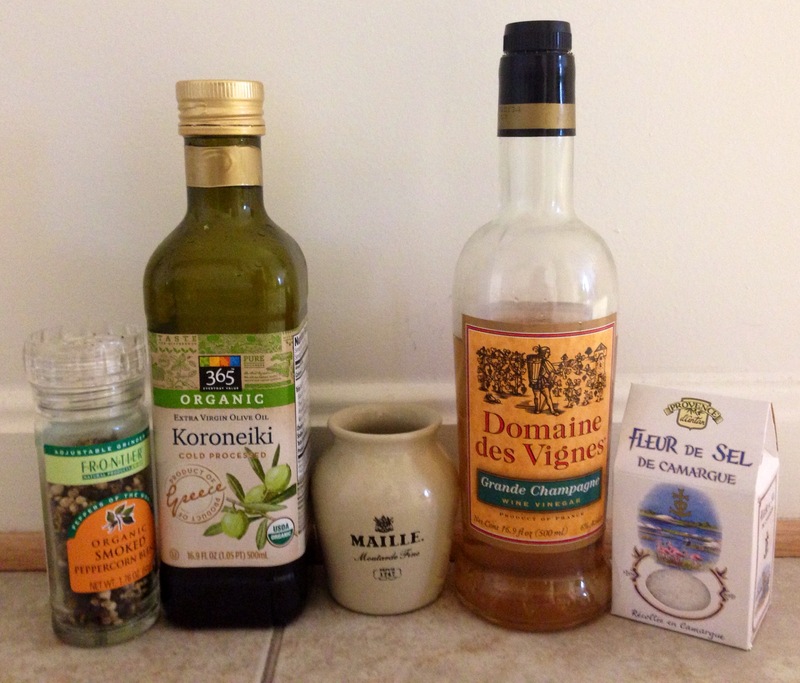 Place the sliced tuna on top (and anchovies, if you’d like) and then pour the vinaigrette over all … et voilà! 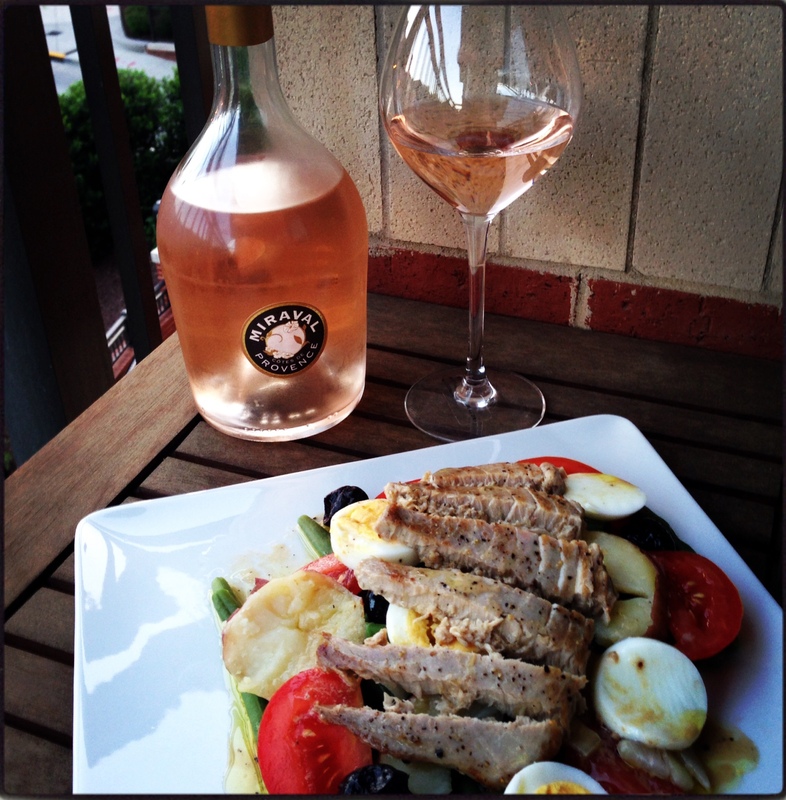 To complete this meal, I decided to pair it with a glass of the 2013 Château Miraval Côtes de Provence Rosé. I have to be honest, I am always hesitant with celebrity wines, but I was more than pleasantly surprised. Made in partnership with the Perrin family of Château de Beaucastel under the Jolie-Pitt & Perrin brand, this rosé has a lovely floral nose with a delicate structure that deepens on the palate. It complemented this dish wonderfully. 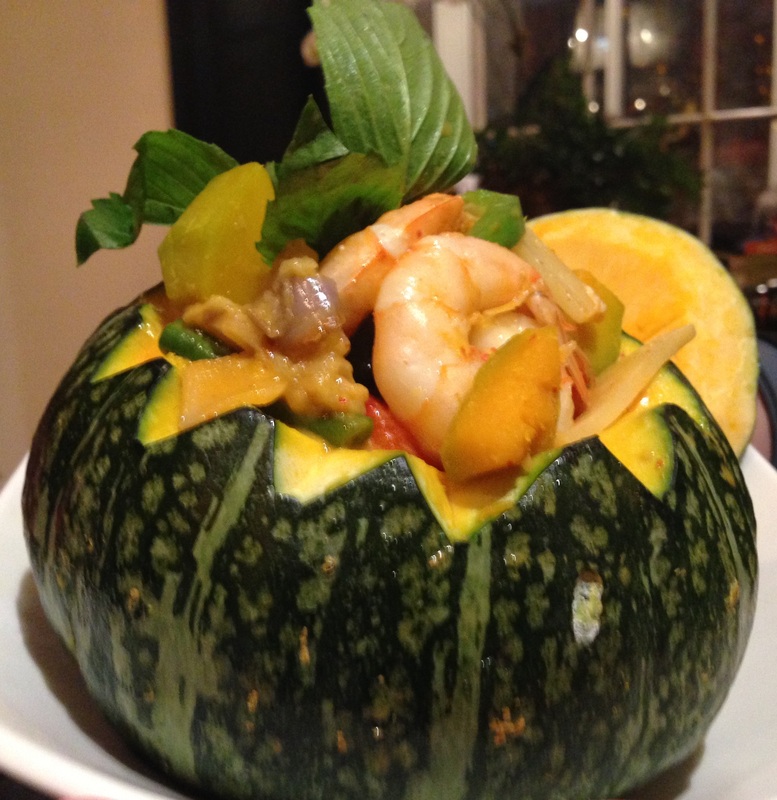 Hope you enjoy this recipe and if you try it, I look forward to hearing your thoughts. 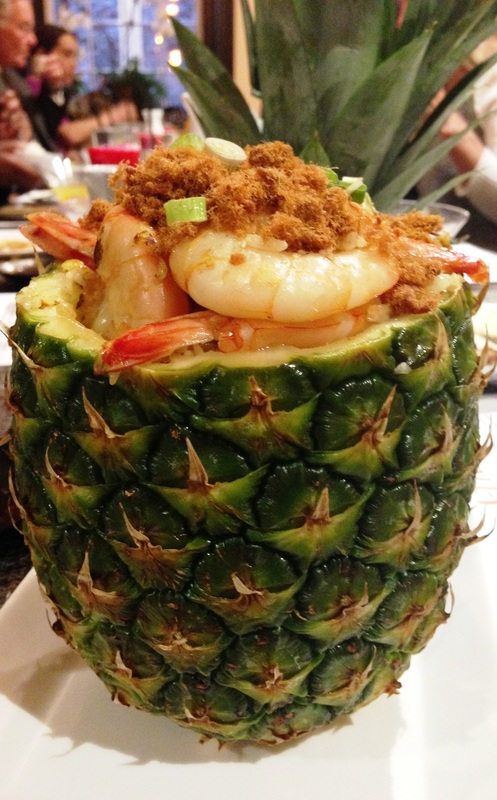 Last week, I had the pleasure of discovering the newest restaurant in Georgetown, I-Thai Restaurant and Sushi Bar, previously home to 30-year old M Street establishment, Garretts. As the restaurant name suggests, the specialties are Thai cuisine from four regions (northern, northeastern, central and southern) and sushi. Each Thai dish served is unique in that at least 3 to 4 of the taste senses are represented – sour, sweet, salty and bitter. Upon arrival, along with an intimate group of bloggers/foodies, we were whisked away to the restaurant’s design-forward glass encased rooftop where we were greeted with a variety of summery cocktails and mini-appetizers. I chose the Mango Topaz (rum, peach schnapps, mango juice, orange juice and a cherry for garnish) which was delicious and refreshing. 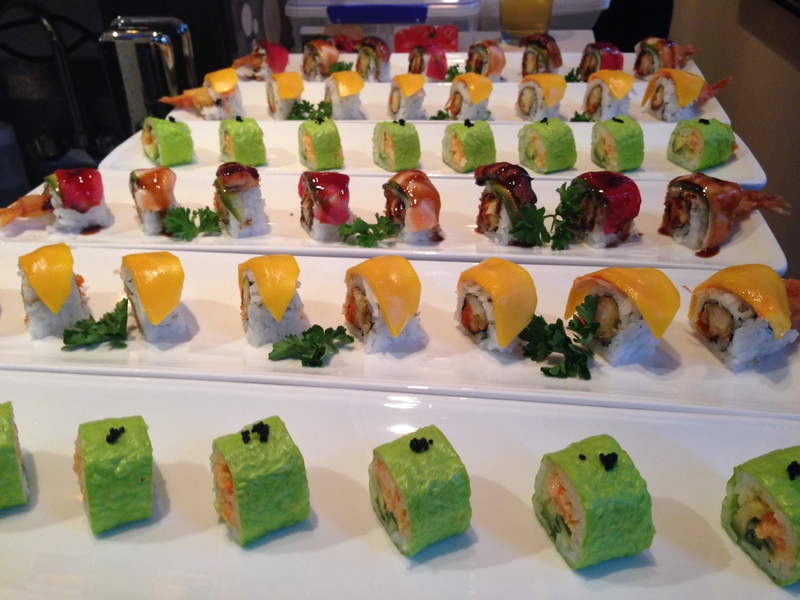 First Course: An assortment of colorful sushi – maki, sashimi and nigiri – was brought to the table. Beautiful in presentation and unbelievable in taste. The sashimi were sizable pieces and the white fish (my favorite) literally melted in my mouth because it was that fresh. 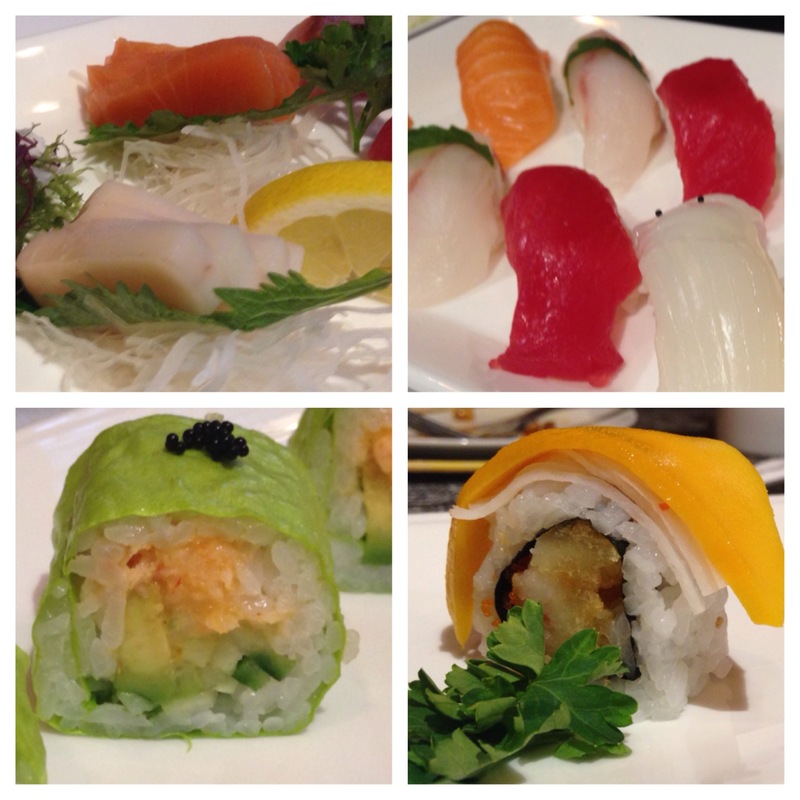 The nigiri ranged from salmon to unagi to squid. I adored the salmon and tuna but thought the squid was a little tough. Lastly, the maki rolls that stood out for me were the DC roll (mango topped with shrimp tempura) and the Sapporo roll (green soy paper with cucumber, avocado, and spicy crab). To. Die. For. 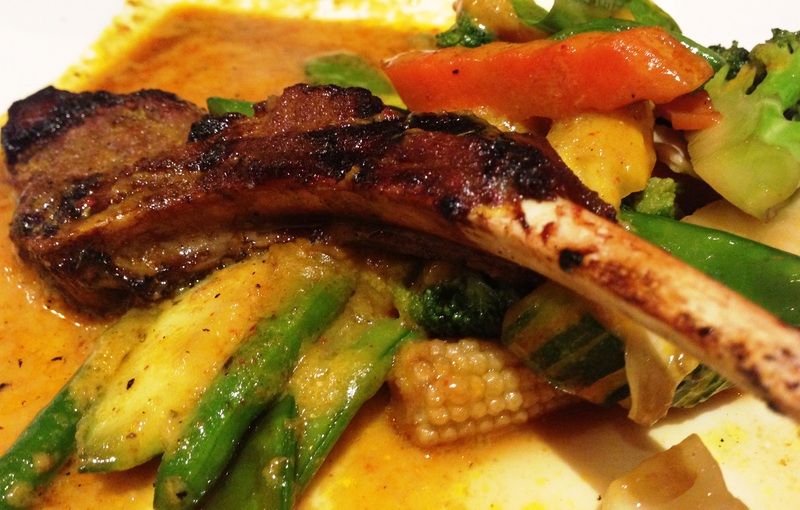 Second Course: Two meat-based dishes worth salivating over – the Crying Tiger (grilled Thai-style marinated flank steak, served with steamed vegetables, spicy fish sauce and sticky rice) and the Lamb Lover (grilled marinated lamb rib with a spicy yellow curry paste served with mixed vegetables in a white wine and garlic sauce). The Crying Tiger was a hit in that the combination of the flank steak (which was tender and flavorful) with the vegetables and rice made it a forkful of perfection. 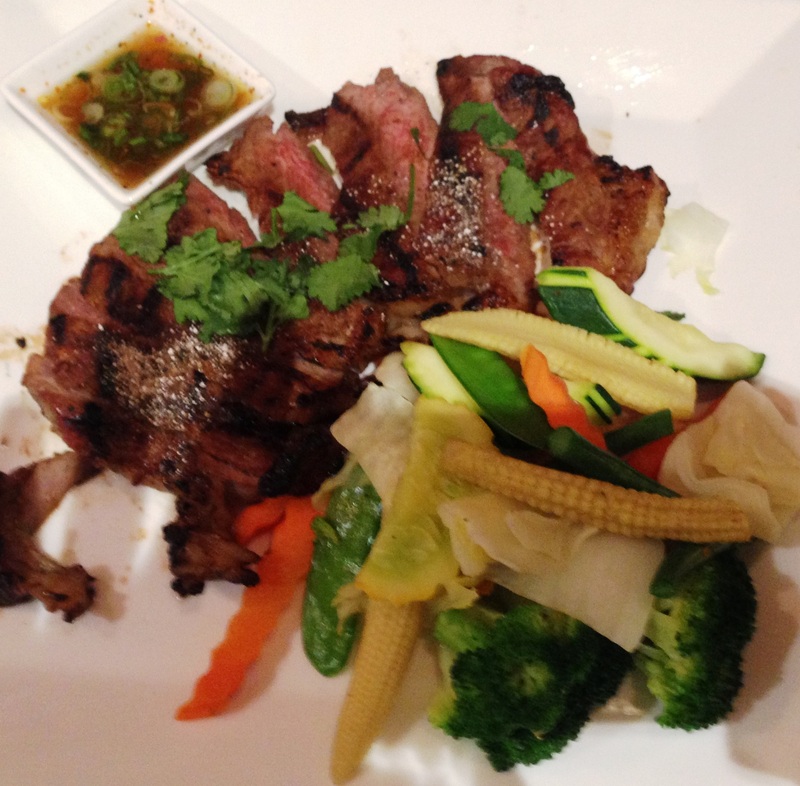 The Lamb Lover will excite your palate because nothing says summertime like grilled lamb. The spicy curry paste together with the lamb rib is a great example of a dish that mixes culture with cooking; and by the end, you’ll want to drag your spoon through the sultry sauce. Third Course: Two seafood-centric dishes that were aesthetically pleasing – Pineapple Fried Rice (stir-fried Jasmine rice with shrimp, egg, pineapple, tomatoes, onions, scallions, dry cranberry, cashews and dry shredded port in the Chef’s sauce) and Aromatic Pumpkin Curry (prawns, bell pepper, red curry sauce). The fusion of ingredients in each speak for themselves. Yes, it’s a bounty of food, but each bite is more delicious than the last. Dessert: Finally, the sweetest part of the meal. We had the opportunity to taste the Green Tea Mochi and Mango Sticky Rice. Although I am more of a savory person, these desserts made me relish every bite. 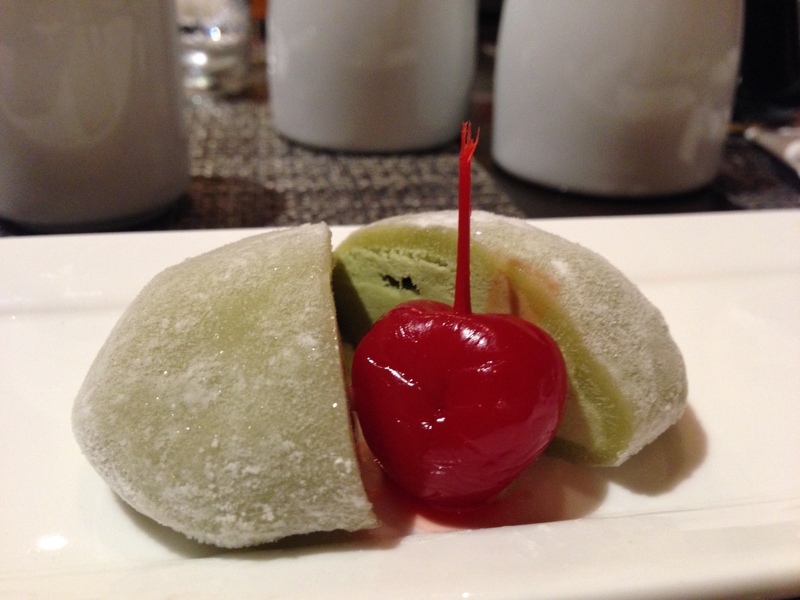 The mochi, pounded sticky rice that is a Japanese confection with an ice cream filling, was like a little masterpiece. My taste buds rejoiced. 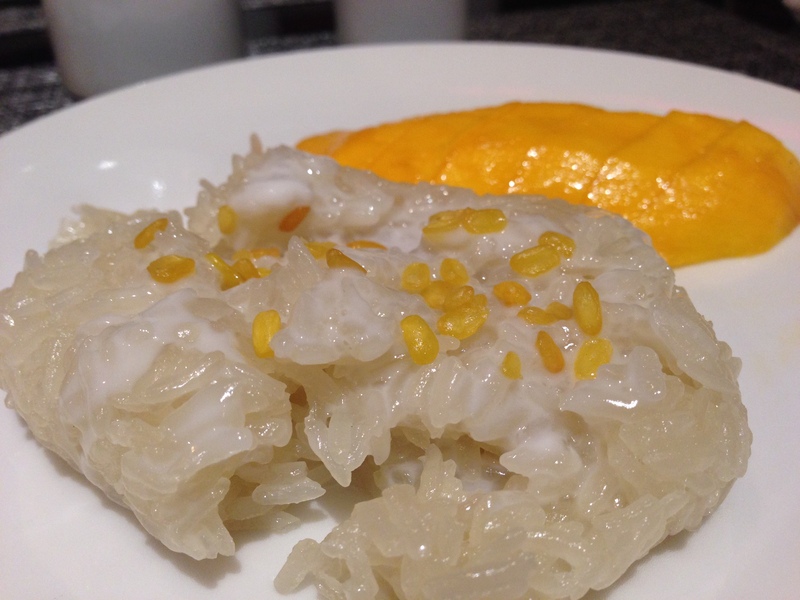 The combination of the warm sticky rice and velvety mango slices fed my inner child. Perfect finish to the meal. For those who have not yet been, I highly encourage you to check out I-Thai Restaurant and Sushi Bar. I can vouch that it will please even the most discriminating palate. Just as a side note, in addition to a full menu they also have gluten free menu. And as a special treat to mothers for Mother’s Day, the restaurant has a special promotion running from May 9 – 11. A big thank you to Damon Banks for the invitation and to I-Thai Restaurant and Sushi Bar for having us. An absolutely delightful dining experience. I shall return! Sand, sand and more sand. Last Thursday, the W Hotel in the Nation’s capital hosted a fantastic event (A portion of the ticket sales went to the Washington Ballet) on its P.O.V. 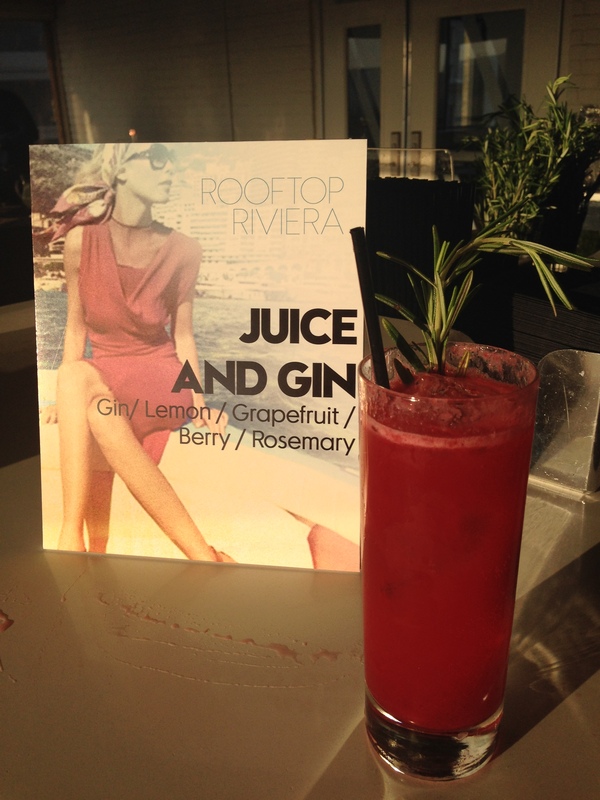 terrace, aptly named Rooftop Riviera, which transported guests to the Côte d’Azur for the night. 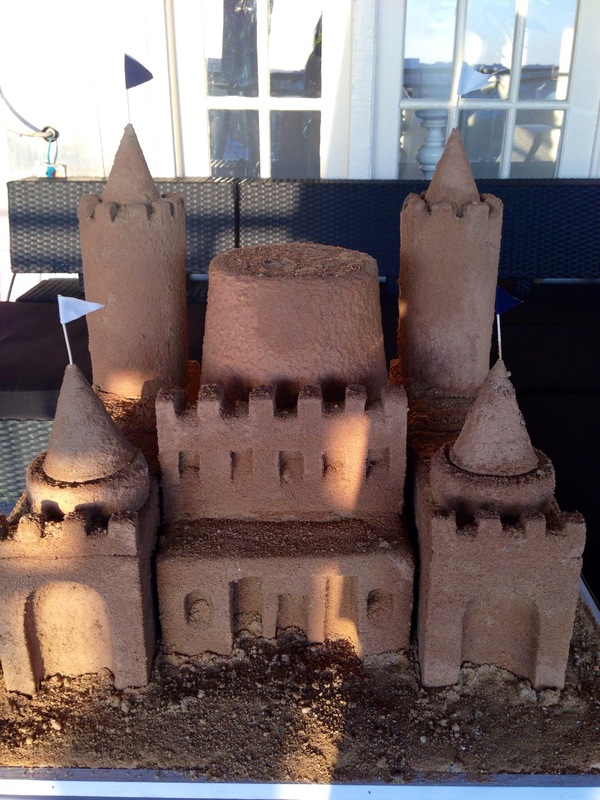 Beautifully sculptured sandcastles were interspersed throughout the sun-drenched rooftop. A blue and white striped tent, reminiscent of Nikki Beach in St. Tropez, was the perfect backdrop for a photobooth. This was the ideal setting for the W hotel to debut their five new spring cocktails – Juice and Gin, Awkward Situation, Smash & Run, Feeling Groggy and the Mexican Standoff. 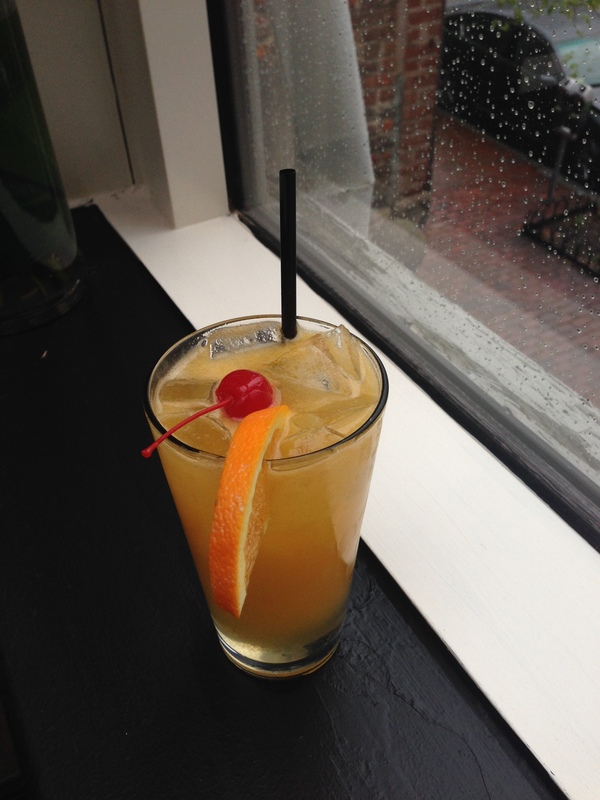 Each cleverly named and concocted to satisfy a variety of palates. 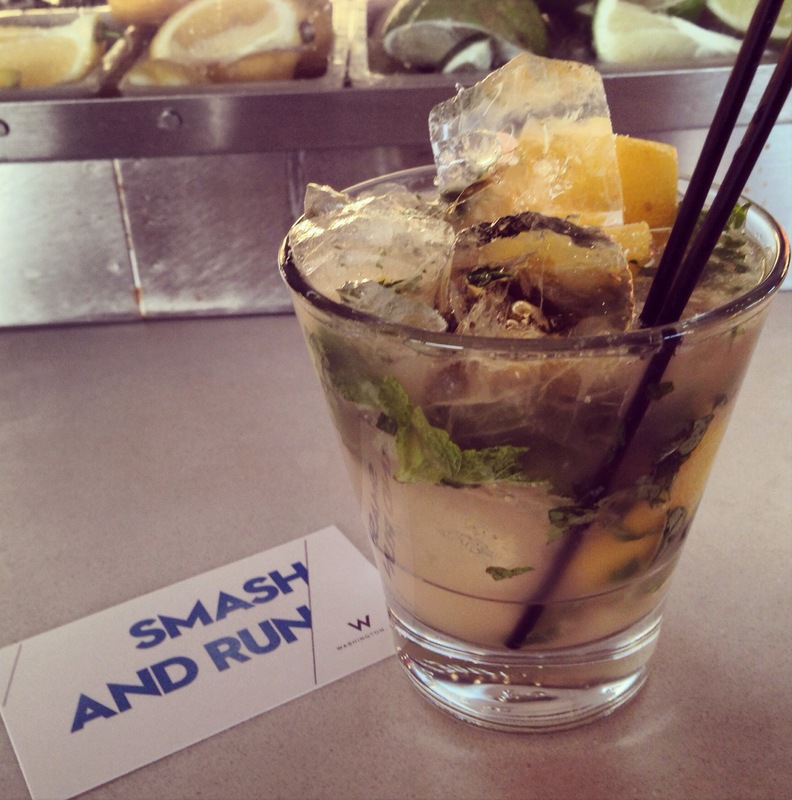 My favorites included Juice and Gin (notes: gin, lemon, grapefruit, berry and rosemary) and the Smash and Run (notes: rum, lemon, rhubarb, ginger and mint). They were both appealing in look and refreshing in taste. In addition to libations, guests were treated to interactive stations that ran the gamut from sweets to beauty products. Dolci Gelati showcased three gelatos – abricot yogurt, key lime pie, honey mascarpone and a mojito sorbetto. To. Die. For. 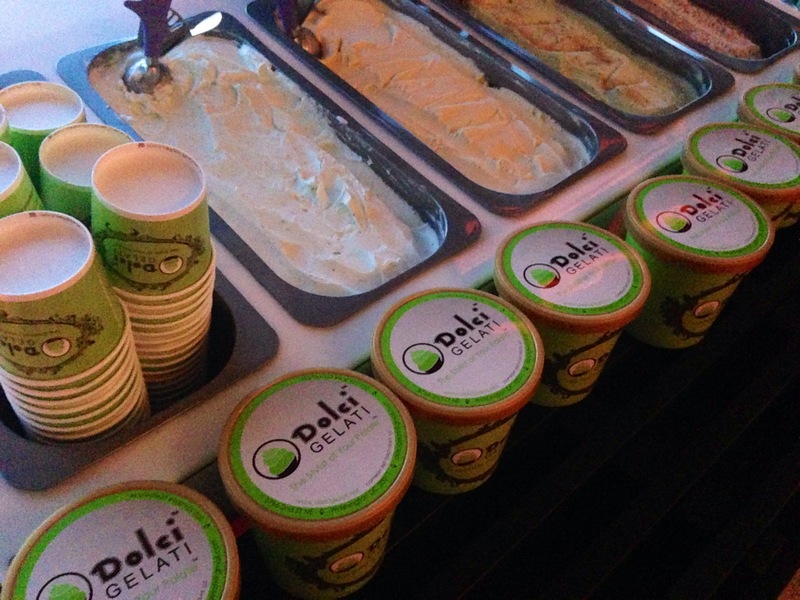 (If you haven’t had a chance to taste gelato from Dolci Gelati, then you are missing out. I highly recommend that you try them out at the next Nationals baseball game). offered at their spa and Nectar Skin Bar dolled up the ladies with hot new lip colors. But the fun didn’t stop there. A fashionable duo from Oysters XO walked around and shucked fresh oysters with a variety of sauces which included a champagne based one as well as a bloody mary mix – a truly unique culinary experience. 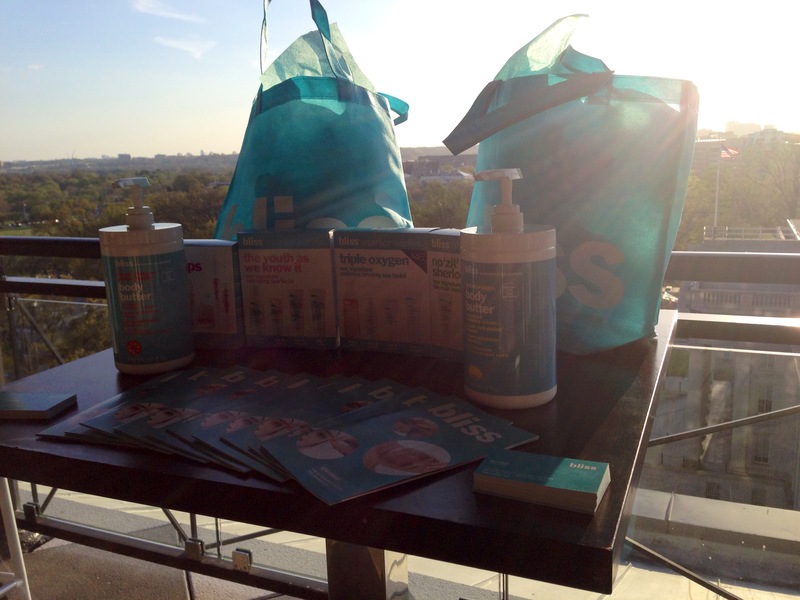 Next time you are wandering around DC on a hot day, head to the W Hotel P.O.V. Rooftop Terrace for a breathtaking view and cocktails. You won’t regret it. Chapeau to Olivier Servat, General Manager of the W Washington DC Hotel, and his staff for putting on a well-executed and memorable event! Thank you to fellow blogger Aparna for the invite! Spring has finally arrived in the Nation’s capital and that, at least for me, means the seasonal reintroduction of some of my favorite fruit and vegetable salads. A few years ago, I stumbled across (and immediately purchased) Ina Garten’s Barefoot in Paris – Easy French Food You Can Make at Home, which now happens to be one of my favorite cookbooks. Not only are Garten’s recipes French-centric (ooh la la), but each featured dish is easy to make and sure to impress. One of Garten’s dishes that caught my eye was her Avocado and Grapefruit Salad. It contained all of the elements I typically look for in a salad – colorful, simple (yet elegant) and a unique fusion. Separately, I love both fruits for different reasons. 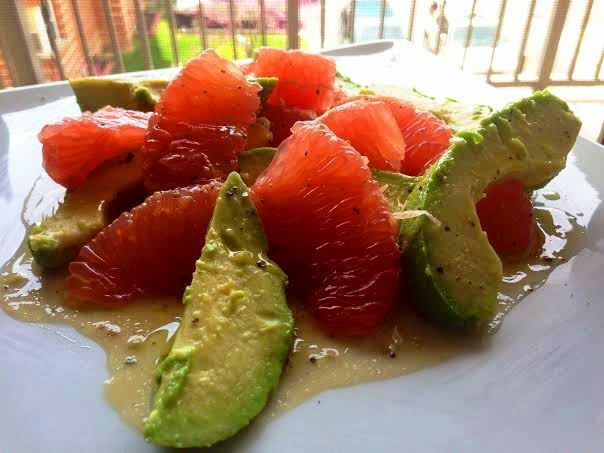 The pulpous grapefruit is tangy and energizes one’s palate and the avocado, vibrant in color, is creamy and buttery but the two together create an unforgettable combination that brims with freshness and flavor. Inspired by Garten’s recipe, I made it my own by topping off both the avocado and grapefruit with my signature vinaigrette (recipe below). Celebrate the warmer temperatures with this delicious yet nutritious salad. This acts as a perfect appetizer to either a salmon or lamb chops entrée. Hope you enjoy it! When I first heard that Chef Fabio and Maria Trabocchi, culinary power couple behind Fiola and Casa Luca, were opening a fresh seafood restaurant on the Georgetown Waterfront, I was elated. So, on a recent whim, my friend and I decided to check out Fiola Mare and the dining experience went above and beyond my expectations. The 7,500-square-foot restaurant is beautifully appointed with metallic accents and warm brown tones and sweeping views of the Potomac. The exquisite main dining area, which resembles a luxurious yacht dining room, is flanked by two well-designed bars where you can enjoy Bar Manager Luca Giovannini‘s one-of-a-kind cocktail creations. Another detail that renders the space special is the beautifully exposed kitchen (separated by glass) where you can see Executive Chef John Melfi (formerly Chef de Cuisine at Blue Duck Tavern where he worked closely with Executive Chefs Brian McBride and Sebastien Archambault) work his magic on his seafood-centric dishes and Executive Pastry Chef Tom Wellings ( for all three of Trabocchi’s restaurants) create his specialty traditional Italian desserts with a modern twist. 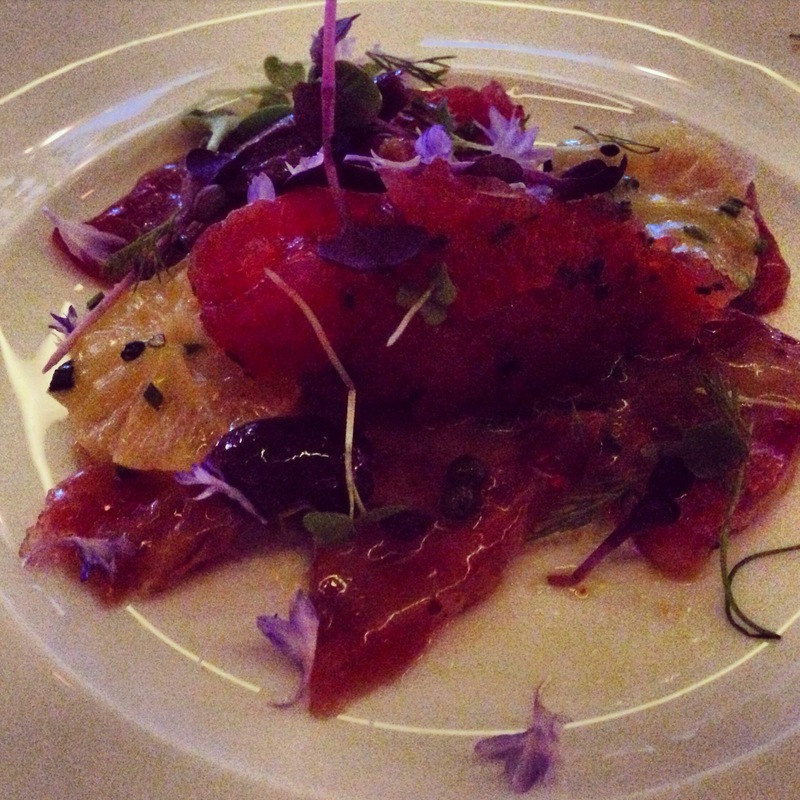 We started off with the Ahi Tuna Carpaccio from the Tutto Crudo! selection and not only was the presentation pretty but it was delicious. The sashimi-styled tuna topped with capers, olives, oranges and the signature Trabocchi edible flowers literally melted in your mouth. 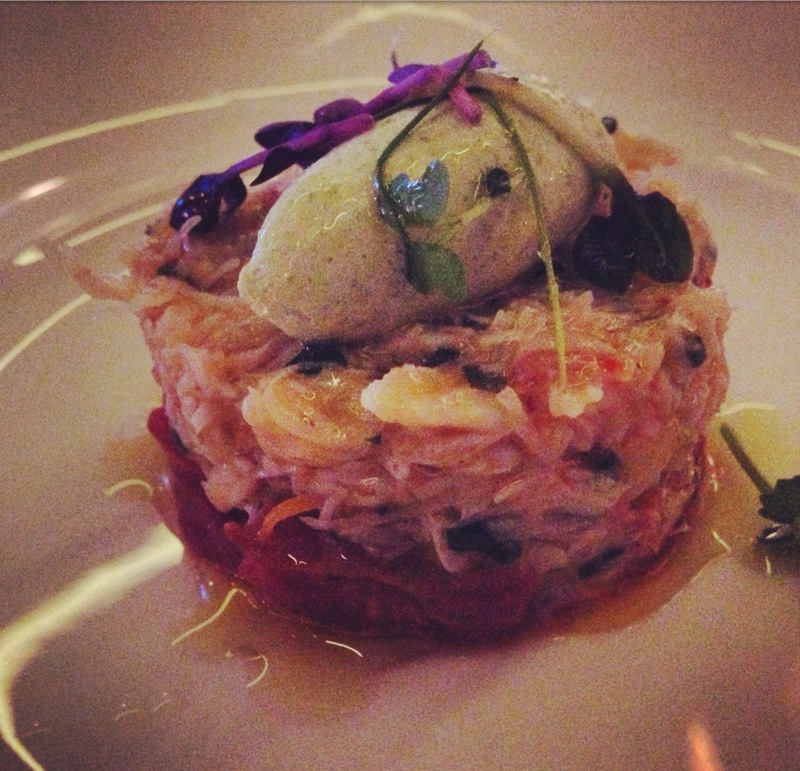 Then we moved on to the Peekytoe crab salad which was an absolute treasure. The little crab delicacy hailing from Maine on a bed of San Marzano tomatoes topped with nicely sized dollop of sorrel cream, lemon zest and edible pansies had incredible flavor and tenderness. Both appetizers will leave you wanting more. 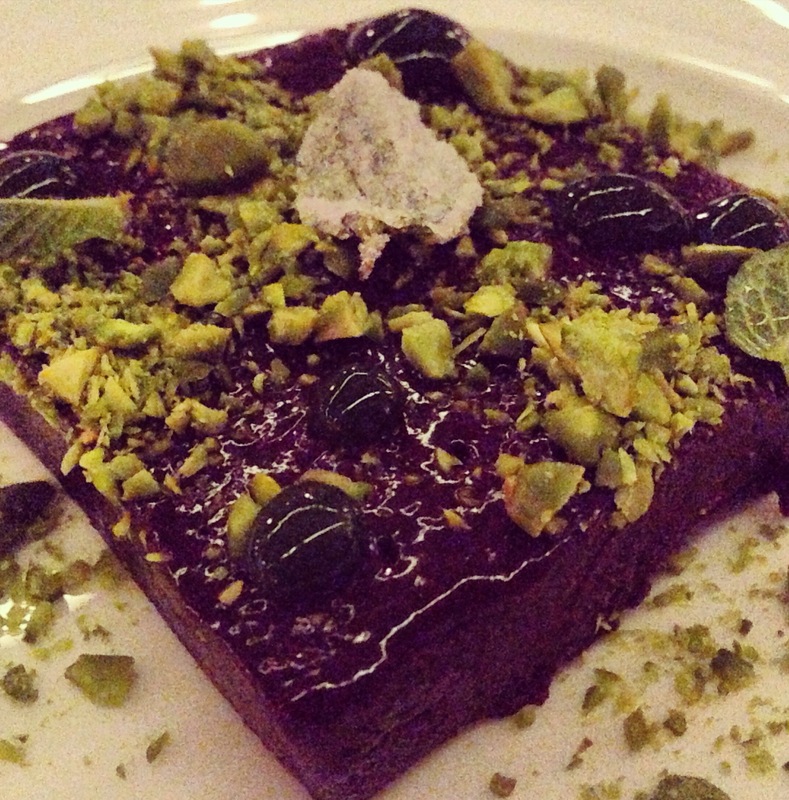 The dessert menu offered a diverse range of choices that were worth salivating over. 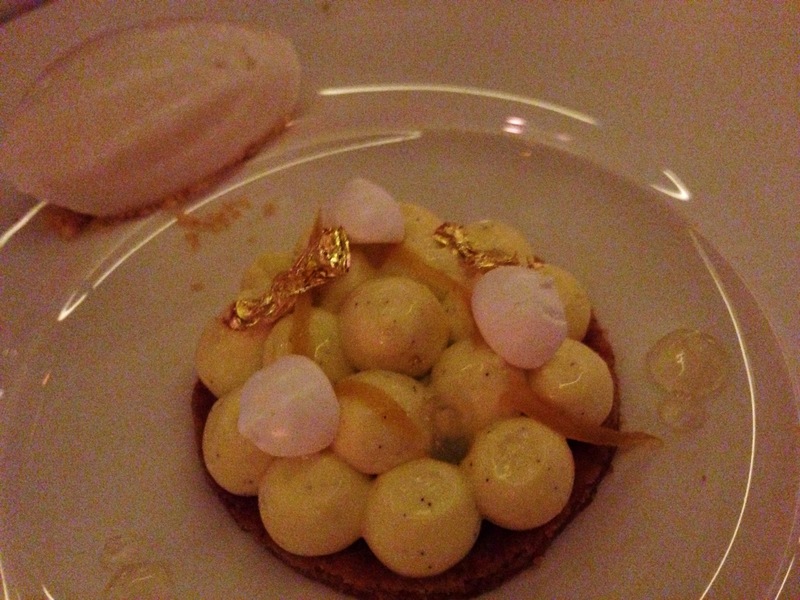 We opted for the “Marchesi”, a chocolate terrine with mint and pistachios and the Torta al Limone, lemon curd with yuzu, mini-meringues that glittered with gold shavings accompanied with coconut sorbet. For those with a sweet tooth, you’ll relish every spoonful. Not only was the dining experience exceptional but the staff was extremely welcoming and informed which made the night even more memorable. Grazie! Congratulazioni to Chef Fabio and his stellar team on creating dishes that will excite your palate and an ambiance that will keep you coming back for more. 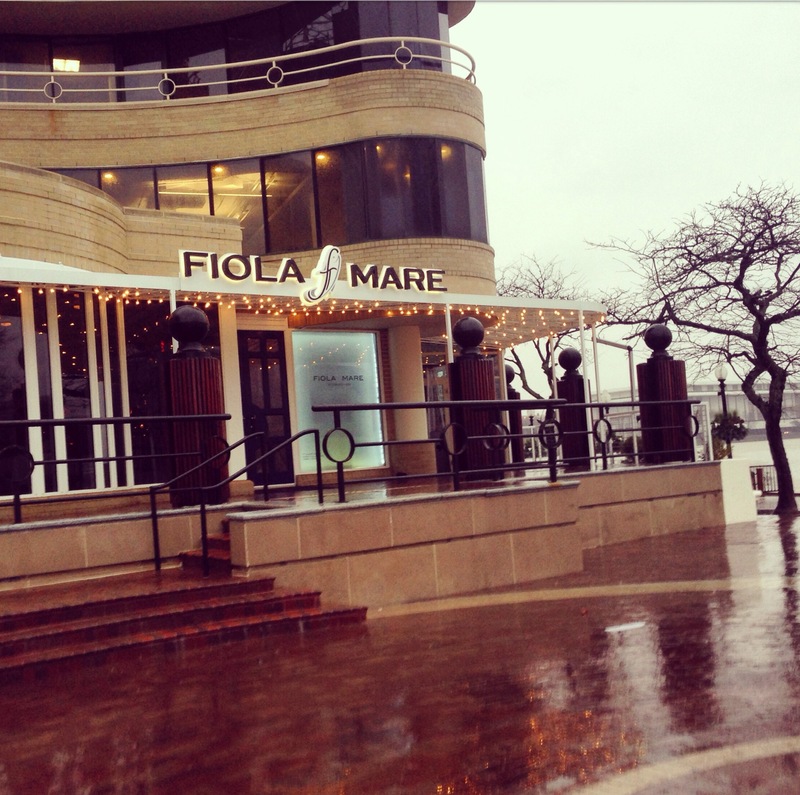 I highly recommend Fiola Mare and already look forward to returning and trying out the brunch menu (which looks delectable!) on the outside patio. Hi! I started out with a facebook page several months ago with the same name and after a recent (+ inspiring) Food Blogger Happy Hour in downtown Washington, D.C. I decided to take the leap and enter the blogosphere. Aside from perfume and film, food is one of my biggest passions in life. If I could eat all day, I would. So rather than do that, I have decided to do the next best thing which is to write about my foodie experiences. I will be sharing recipes from dishes I have made but also writing reviews of restaurants that are not limited to the nation’s capital. Here’s to culinary adventures full of bon appétit moments!